Francis Galton was one of the most accomplished psychologist, anthropologist, explorer, meteorologist and geographer, statistician. He was the first psychologist who applied the use of statistical tools and methods to study human behavior and differences and their level of intelligence in analyzing his theories. He was also the first person who introduced the concept of collecting facts and data from human communities through conducting surveys and questionnaires which used in his studies on genealogy and biographies as part of his anthropometric studies. Galton was considered as a pioneer in eugenics which is the study to analyze and improve the genetic makeup of the population making up the society. Born on February 16th, 1822 in Birmingham, England he was the cousin of Charles Darwin having the same grandfather Erasmus Darwin. He and his cousin played a significant role in the studies of medicine and science whereas their family occupation was gun manufacturing and banking that earned them great success. Francis Galton was an achiever from childhood. He was an exceptional child with marvelous capabilities and great intelligence. He started reading from age two and started reading Shakespeare for seeking pleasure as well as poetry to entertain himself. He started studying medicine in his teenage because his wanted to become a doctor. He started his medicine education at Birmingham’s General Hospital and King’s College, London but then he left the field of medicine to begin his study for becoming a mathematician at Cambridge University. But with the death of his father he became independent enough to pursue whatever field of study that intrigued his curiosity. He was an ardent traveler and explorer. His first journey was to Africa and Middle-East followed by Egypt and Sudan. Travelling became an inspiration for him to learn and explore about new destinations. He wrote a book named as “The Art of Travel: Or, Shifts and Contrivances Available in Wild Countries” in 1855 as an advice to the new travelers on how to travel fully to their advantage. Francis Galton also has the honor of inventing the first weather map depicting distinct climatic conditions over a certain geographical area. He wrote a book on the subject of weather and meteorology “Meteorgraphica”, which defined the methods of mapping the weather. 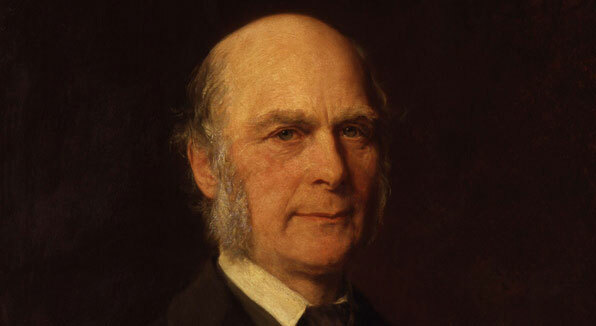 He was strongly influenced by the works of Charles Darwin named as “The Origin of Species” through which Francis Galton analyzed and developed his own theories regarding the inheritance of traits. He was a very active member of British Association for Advancement of Science. He presented many research papers in their meetings on a wide variety of subjects. His major works comprises of hereditary genius and inquiries into human faculties and development which discusses his theories regarding intelligence and genius. His notable awards were Darwin Wallace medal presented by Linnean society of London and Copley Medal among numerous others. He died on 17th January 1911.
" Francis Galton," FamousPsychologists.org, https://www.famouspsychologists.org/francis-galton/ (accessed April 21, 2019). Francis Galton [Internet]. FamousPsychologists.org; 2014 [cited 2019 April 21]. Available from: https://www.famouspsychologists.org/francis-galton/. Francis Galton, https://www.famouspsychologists.org/francis-galton/ (last visited April 21, 2019).